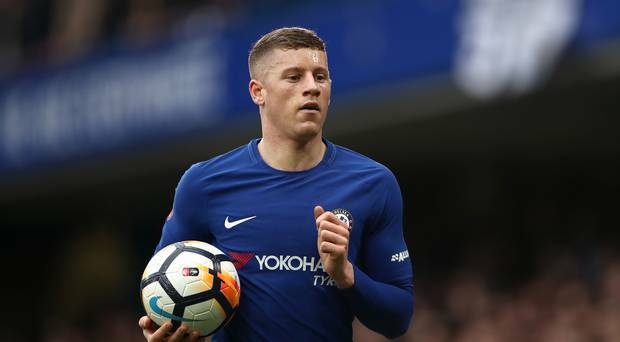 London club coach Maurizio Sarri doesn’t like Ross Barkley performances in the Premier League and prefers to give regular game time Mateo Kovacic. England international started this season excellently but now the situation changed and he moved to the bench. Blues have problems in the midfield as Cesc Fabregas moved to Monaco, Danny Drinkwater and Ruben Loftus-Cheek preparing to change the working place. The Italian manager has to fix this problem very soon. Ross joined Chelsea from Everton last January with the €18m deal. He is one of the best midfielders in Premier League and a key figure for the club. In this campaign, Barkley already played 33 matches, scored 3 goals and made 5 assists in all competition. This is a good result and he can improve his consequences during this season. The 25-year-old footballer is contracted with London club until 2023 and his release clause is nearly €35m. His price could increase and become much more during this campaign. He is a regular member of the national team which is already a big achievement for the midfielder. London club signed several footballers last summer like Mateo Kovacic from Real Madrid, Jorginho from Napoli, Kepa Arrizabalaga from Athletic Bilbao and improved the squad much more. Blues also added Juventus centre-forward Gonzalo Higuain with a loan deal. Chelsea also linked with Lyon midfielder Nabil Fekir, Napoli centre-back Kalidou Koulibaly and Juventus winger Douglas Costa. Maurizio Sarri wants to strengthen the squad and win many titles with the Blues during this campaign.